So excited to share this sweet and adorable one year cake smash session taken in our San Diego area, Carlsbad studio. We love cake smash sessions! We keep a full selection of beautiful wardrobe (everything pictured) and clients can use this during their session! Because we are full service, all you have to do is show up with your sweet little baby, and we'll handle the rest! We also provide a basic one color cake, including this naked style cake. Book your session today! 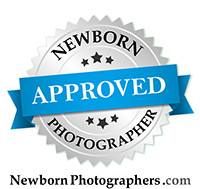 If you're considering newborn portraits, please take a peek inside our Carlsbad studio! This video shows behind the scenes and talks about the experience of working with Stacey for your portrait session. Loved working with sweet little Rowan for his Where the Wild Things Are themed cake smash. I photographed his newborn portraits, and I just love seeing those babies come back for their milestone sessions. I was just delighted when Lucy's mom asked me to create a Where the Wild Things Are themed cake smash! Its so fun for me to take an idea and turn it into a beautiful little set. The challenge was to take a book about a little boy named Max, and make the theme feminine and soft. It was so fun to put together! I created the pennant banner, as well as her little Max crown and all of the surrounding decor. Cakes with basic decorations are included in all of my cake smash sessions. Just darling! The family is also from Hawaii, so they wanted one of the sets to include some Hawaiian theme. Her floral crown, as well as a lei of plumeria were pretty little touches!